Imperial Stout brewed with smoked malt, coffee, chipotle peppers and black pepper. 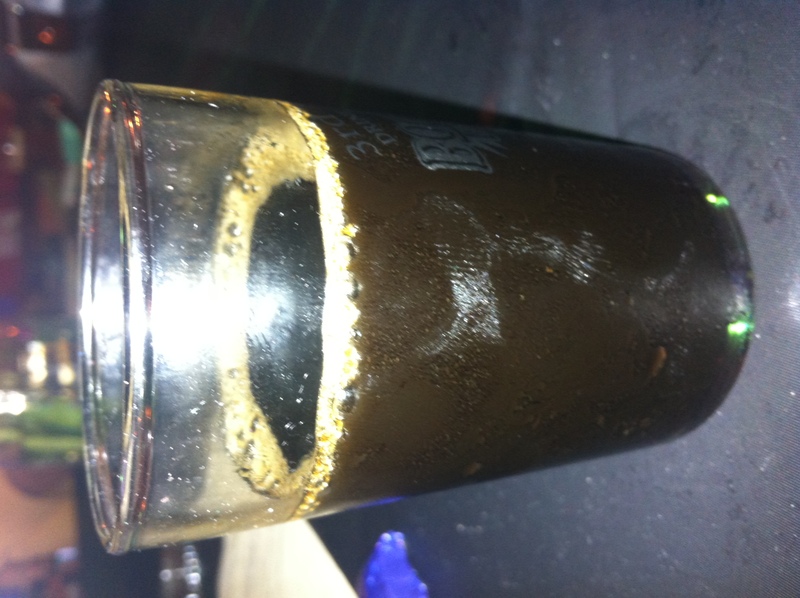 Imperial Phoenix pours a dark brown, practically black in color. A faint ring of khaki film lines the glass and sticks around for the majority of the session. The nose on this beer is BIG. I picked up dark malts, chocolate, smoke, chili peppers and a roast beef like scent. I was excited just from the nose! Wow…………….this beer is amazing! The flavor is dark and smokey, with the chocolate and chili appearing only brief enough to let you know they are there. The balance is fantastic, which makes the beer easy to drink (even though it’s big and bold). Mouthfeel is medium, slightly sticky with a wee bit ‘o drying (as you would expect from a dark stout full of all them peppers). This was a great beer and a highlight of the day. The flavors blend nicely, with each appearing, but not overshadowing, their counterparts. I wish I could have tried the Bourbon barrel aged version of this beer while I was there. Damn. Either way, good job, guys (and gals) at Bootlegger’s.